Ozark Trail 8-Person Dome Tent is fully freestanding, with 2 rooms, 4 windows, fiberglass poles, and incredibly affordable. Please keep reading. Ozark Trail 8-Person Dome Tent. The tent is available on Amazon, the price is incredibly good and their shipping conditions are the best. This Ozark Trail 8-Person Dome Tent is what its name says, a dome style structure with a very interesting design. You have windows and doors everywhere around, and a partial coverage fly for an unobstructed view. 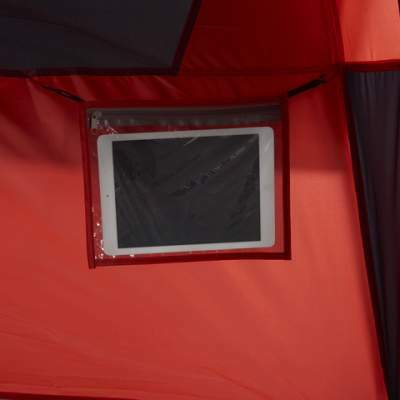 But there is more, the tent is with a divider so this is a 2-room structure, please see the picture below. As you see, each of the rooms has its own door and two windows. There are some other tents here in the site with a somewhat similar design, see this Timber Ridge 8 person tent as one example and also the Eureka Tetragon HD 8 Tent, both are dome tents and with two rooms. 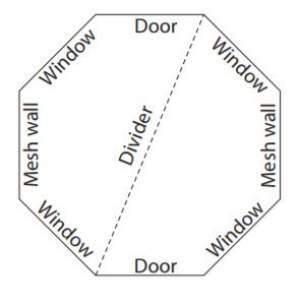 The plan of windows and doors. The view through the door and the divider in place. The divider is rolled to the sides. Space-wise, the declared capacity is 8 people, but the area is 121 ft² (11.2 m²). This would mean 15.1 ft² (1.4 m²) per person, which is not enough but it could be possible to put such a number of pads on the floor. See in the picture below what they suggest for 8 people. The suggested way of using the floor for 8 people. 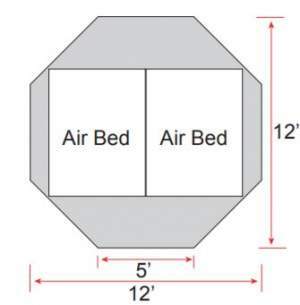 They also write that it fits two queen airbeds and this is depicted by the picture below. This is hardly possible but in any case, the tent could be used by two couples. I see it also suitable for parents with two kids maximum. The tent shown without the fly and all windows zipped up. What you see also in the picture is that there is not much mesh here, only two small mesh sections are on the roof, and those cannot be closed. All other openings (windows and doors) can be closed. But the tent is also without vents. Assuming that you would use it in a dry environment, you can always keep some of the windows with mesh only for ventilation. All in all, it is better suited for a cooler and drier climate than for a warm climate with rain. Weight-wise, with its 22.8 lb (10.3 kg) this is quite a lightweight tent, but there are much lighter options (and much more expensive), and you will be able to compare it with some competitors, there is a comparison table below. The packed size is not bad, 24.5 x 9.25 x 9.25 inches (62 x 23 x 23 cm) so you can transport it even on a motorbike. In general, this is a camping tent, not really something to carry long distances, but this would be possible. You have 8 main fiberglass poles that converge to the central steel hub on the top (shown in the picture), and the tent attaches to them through the long sleeves and clips. This structure is very stable, the sleeves distribute the pressure over a long area. 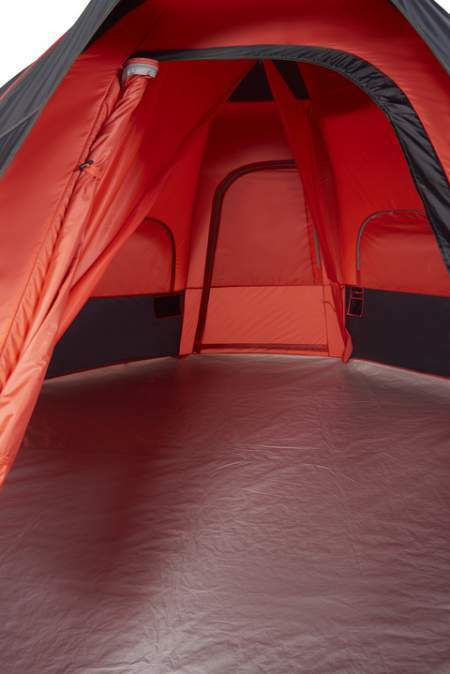 So the tent can withstand lots of vertical pressure, but I would not use it in the snow. Two shorter poles are used to create small brims above the doors, this is very useful in the case of rain. You can see this in the pictures. 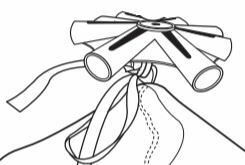 They do not provide much info about the fabric, but the tent’s body and the fly are both a poly-taffeta 185T with 600 mm waterproof rating. The floor looks durable with 200 gr polyethylene. The seams are taped. You also have a durable poly-oxford carry bag included. 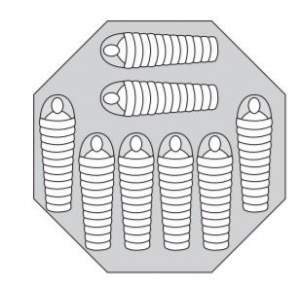 The picture below shows how the tent looks with the fly on and with all 6 openings with mesh only. So you have views and lots of ventilation if you can use the tent that way. Here, the panels are unzipped and only mesh is on windows and on the doors. You pass the 8 poles through the sleeves and insert them into the top hub. Then go around and attach the other ends of the poles to the 8 corners where you have pin and ring system in place. The poles will be flexed considerably when you do this, so be careful, this is fiberglass and it can crack. One person can do this, but it is easier for two people. 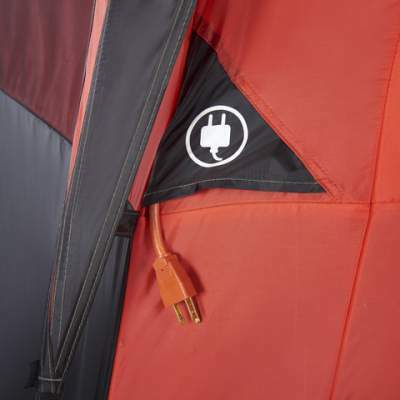 The hub can be attached to the tent’s top with some cords. After you have finished this phase, you can add the fly. Then use the hooks on the fly to attach it to the 8 rings in the corners. The tent can be moved in such s state and you can rotate it. But you have stakes to fix it and do not miss to do so whenever possible. The setup time is around 10 – 15 minutes or so. 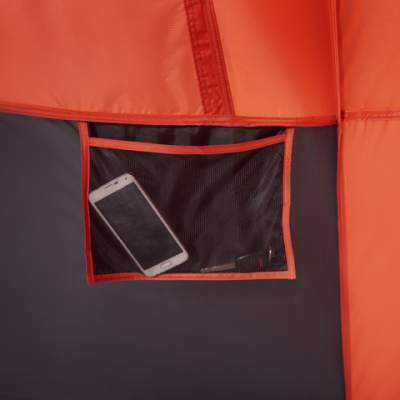 The tent comes with a media pocket shown below, 2 small wall pockets (pity they di not add more), and 2 bottle holder pockets. You also have an E-cable port, see the picture. Small area for the declared capacity. Not for harsh weather conditions. At the moment of writing this text, several sellers have this tent on Amazon and the lowest price is $108, so this is indeed incredible for a tent with so many features. But bear in mind what I said about the protection from elements, you will have to spend more if you need a tent for a climate with lots of rain. Please see how I rate it, I use several different criteria so check what is essential to you. Weight: 22.8 lb (10.3 kg). Dimensions: 12 x 12 ft (366 x 366 cm). Area per person: 15.1 ft² (1.4 m²). Peak height: 6.67 ft (80 in, 203 cm). Packed size: 24.5 x 9.25 x 9.25 in (62 x 23 x 23 cm). I have decided to show you two tents from some other brands for comparison. So all of them are dome type and the declared capacity is the same, but there are big differences in the design and in the waterproof rating. This tent is heavier but it is much taller as well. Observe that the area is practically the same, and the packed size is very similar. But the differences in the prices are huge, you will realize this if you follow the links. 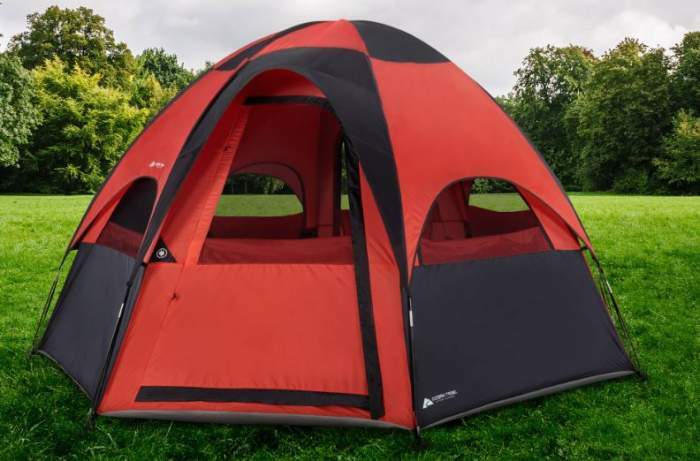 In the summary of this Ozark Trail 8-Person Dome Tent review, I must say I am pleasantly surprised with the features of this tent on one side, and the price on the other side. This is a really interesting design and a very livable and pleasant construction. If you are on a budget and need a tent for occasional use in an environment without much rain, this is the item to consider. 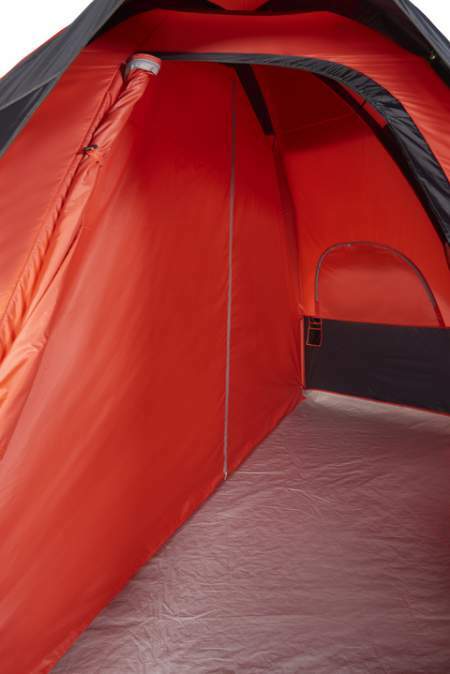 You might want also to check this NTK Hunter GT 8 to 9 Person tent from a completely new series they launched recently. 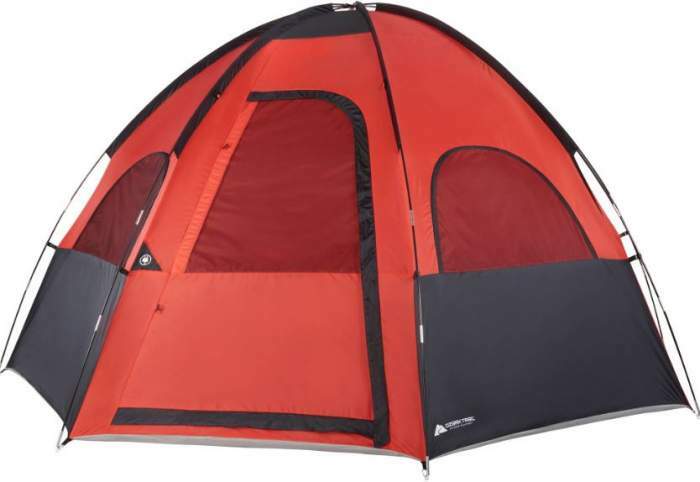 See also this Coleman Evanston 8 Family Dome Tent which offers more space but it is lower and suitable for summer camping. Note that I am not paid by the manufacturer and this is not a sponsored text. Please use the comment box below in the case of questions and comments. Have a nice day.